Red's Shoe Diaries: Support Your "Girls" and Women, too! Support Your "Girls" and Women, too! 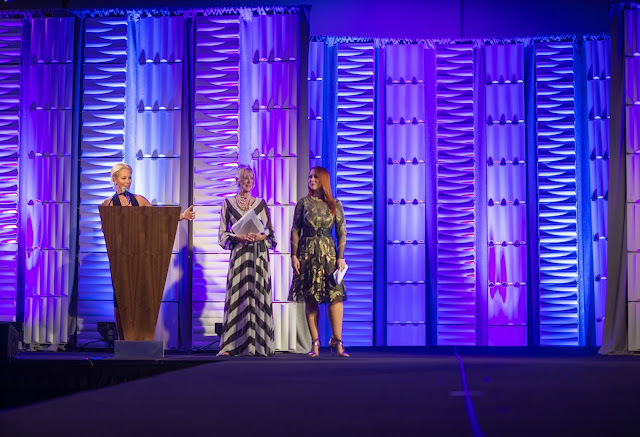 My beautiful friend, and fellow founding DFSI board member, Karen Kennelly looks stunning in silver at Stepping Out In Style! My own dress is from Temperley London, and my gold shoes are by Schutz. 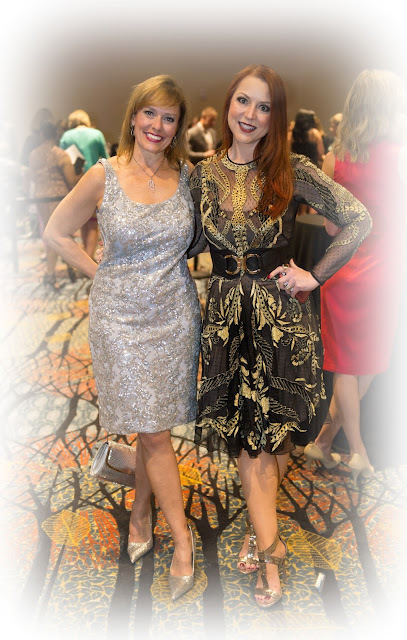 Not surprisingly, it takes a village of volunteers to help Dress for Success "step out in style" each year, and I am eternally grateful to the individuals, staff, corporations, and local businesses that lend their support for the cause. Even if you missed this year's stellar event, you can also support the women served by DFSI, and you can support your "girls" at the same time...Yes, I do mean those "girls." From October 14th through the 18th, all Vanity Fair bras at Indianapolis Macy's locations are buy one get one free, and for each bra you purchase, Vanity Fair will also donate a bra to Dress for Success. Well-fitting bras in good condition are often one of the first "luxuries" to go when women are struggling to make ends meet (and I use the term "luxuries" with all due sarcasm). Come on, ladies, you know what a difference the right foundation makes in how your clothes fit and how your back feels! Unfortunately, the supply of these necessities are all too often woefully insufficient to meet demand at the DFSI boutique, and donations of new ones make a big difference to the women we serve. So, if you're in the Indianapolis area and you happen to be on the hunt for your own support, please consider a trip to Macy's to check out the Vanity Fair selection next week. With this buy one get one free offer, you'll get twice the support for your own "girls" and you'll be supporting the women of Dress for Success at the same time!